The right nutrition is critical to your animals' health and productivity. The proper diet and feeding regimen will not only nourish your animals, but will help them grow to meet their full potential. 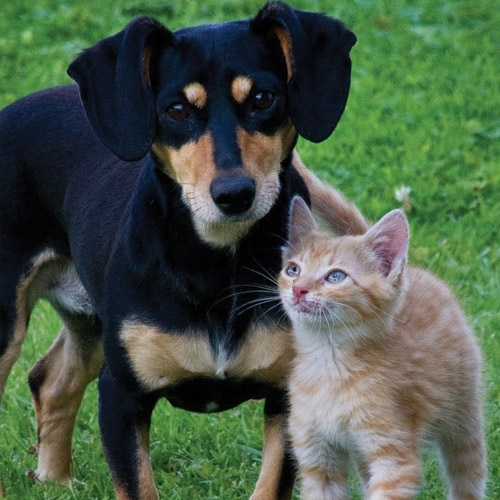 We carry several brands of dog and cat food as well as essential pet supplies. With different sizes and styles of leashes, crates, houses, beds, collars, toys, dishes and other gear, not to mention different nutritional food formulas, grooming supplies, flea and tick treatments and more, what is right for your pet? The answer will depend on your pet's breed, age, personality and more, and it can be tricky to find just the right options for your pet.